Art Crawl and Live & Original weekend in Collingwood! It’s September, and that means my favourite event of the year is coming back!!! ART CRAWL! 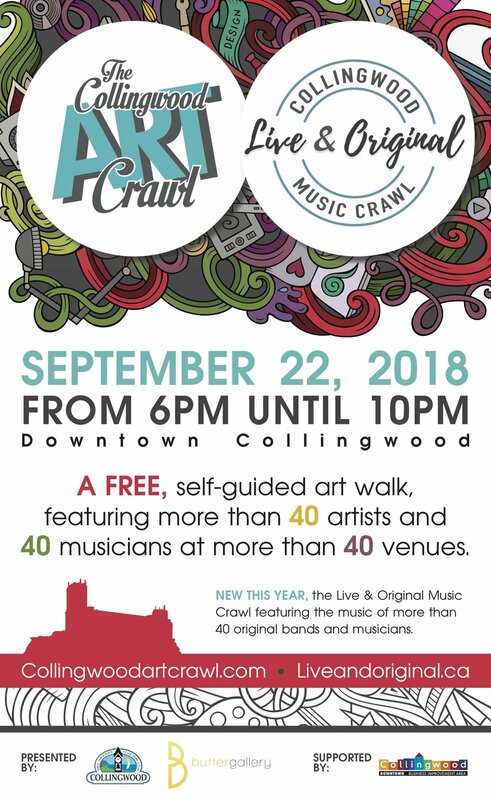 This year, it’s extra special because Town of Collingwood has stepped in to organize a big local and live music festival in conjunction with Art Crawl. It’s a new spin on the Live & Original Music Series. So this is going to be a really interesting and important weekend for local musicians. If you’re a musician or you know one, get yourself or themselves registered for some of these workshops. You can check out all the details at http://liveoriginal.visitsouthgeorgianbay.ca/music-forum/. Plus, all Art Crawl details at http://collingwoodartcrawl.com/.